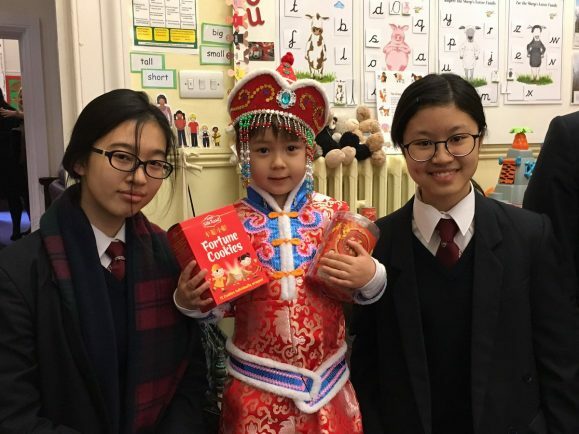 THEMED activities have been taking place at schools and nurseries to celebrate Chinese New Year. 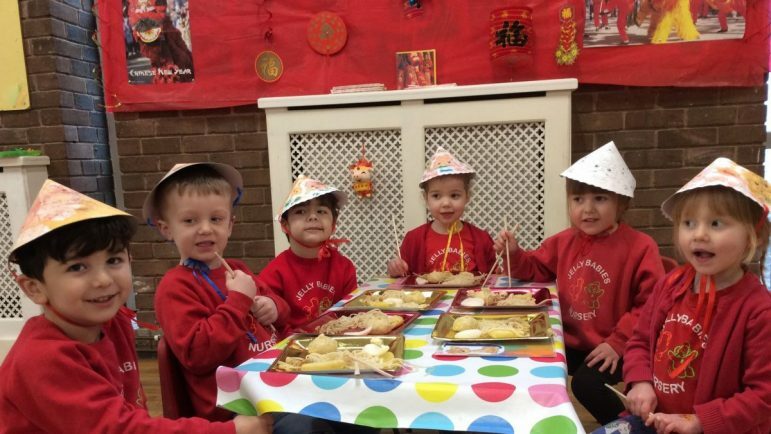 Children from Jellybabies Nursery and Pre-School in Longbridge celebrated the Chinese Zodiac Year of the Pig by trying traditional dishes and having a go at using chopsticks. They also acted out the story of the animal race. According to Chinese mythology, the Jade Emperor challenged twelve animals to take part in a race to be his guards. The order they finished in the race dictated the placings of the animals on the Chinese Zodiac. Youngsters also made Chinese hats, took part in a dragon dance and received a pig balloon and red envelope containing chocolate coins. Children from Active Kids class at St Stephen’s Church in Rednal took part in a host of activities. 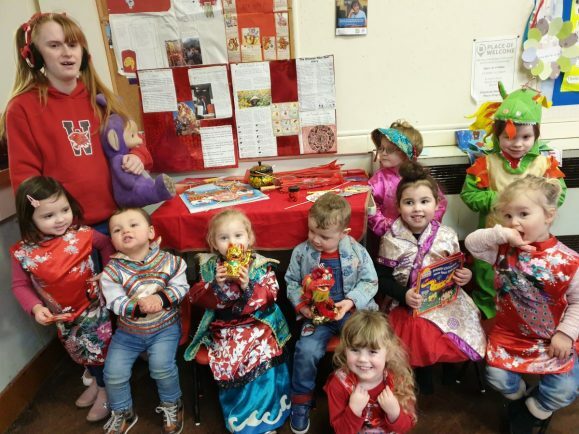 They dressed in Chinese costumes, ate rice noodles and prawn crackers with chopsticks at snack time, joined in with a lion dance using musical instruments, listened to Peppa Pig Chinese New Year story, made dragon masks and decorated pigs. They also created Peppa Pig at the art table, made up their own red lucky bags and explored hidden items in a Chinese themed discovery box. Reception pupils from Winterfold School in Chaddersley Corbett had a fun-filled day making lanterns, hats and dragons and enjoying Chinese snacks. Prep-pupil Olivia also brought in fortune cookies for the whole school.